This week has given us some of the least sweat and misery inducing weather Nashville has seen in a while. Dare I say that this morning was even pleasant outside? And now suddenly I am salivating at the thought of autumn weather. Last fall we spent so much time romping around our backyard, hiking, and soaking up all the stunning orange and red and yellow leaves. Plus, lots of awesome things happen in the fall: my wedding anniversary, Max's birthday and my own birthday, to name a few! 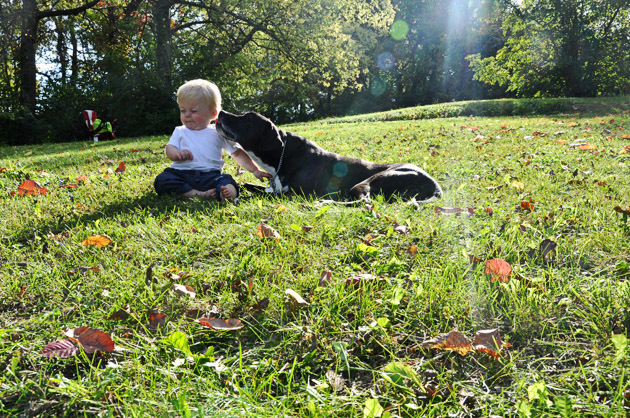 Anybody else ready for those crisp fall days? 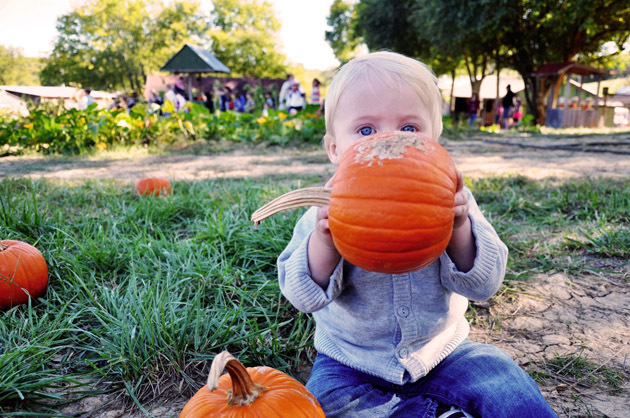 Max chose some great pumpkins at the pumpkin patch! My boys hanging in the backyard. I love that autumn sunlight! 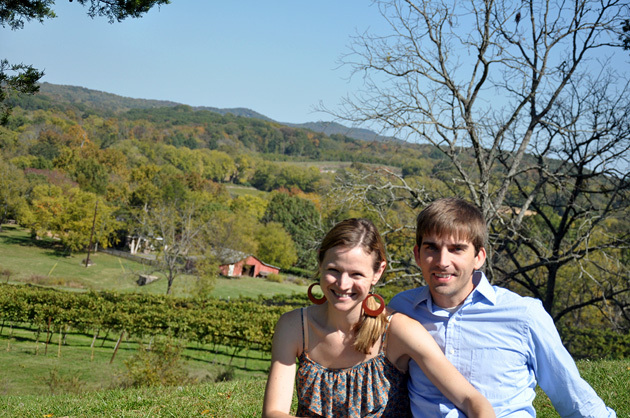 Ben and I had an amazing view of the leaves changing colors when we celebrated our 5th anniversary at Arrington Vineyards (just outside of Nashville) last October.